If you are in Kindergarten through 8th grade, and you are the first to correctly identify this animal, we will send your school a free CD with 46 Arizona bird recordings. Along with your name, please include your age and the name of your school and where it is located. All guesses will be acknowledged and the winner's name and school will be displayed here. Please do not include your address or phone number. If you win we will be sending the CD to your school in your name. Good Luck. 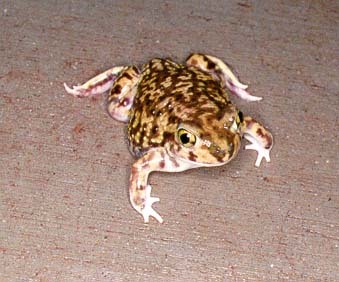 In the last 10 years no one has tried to identify this Arizona animal, much less get the ID correct. The opportunity to get the CD with lots of bird songs is still good. What are you waiting for?